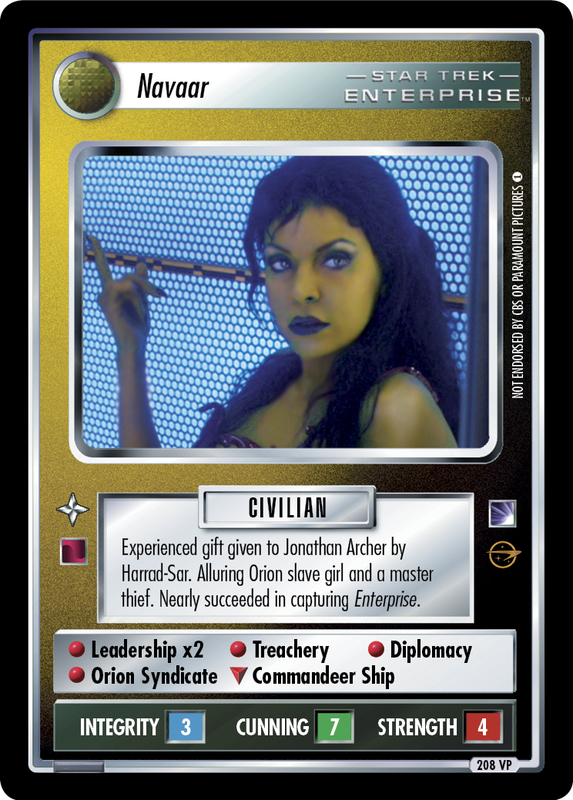 Experienced gift given to Jonathan Archer by Harrad-Sar. Alluring Orion slave girl and a master thief. Nearly succeeded in capturing Enterprise.